Building bridges will be a two hour round table for Adventure Therapy Networks in Europe to present their work and connections to the others. 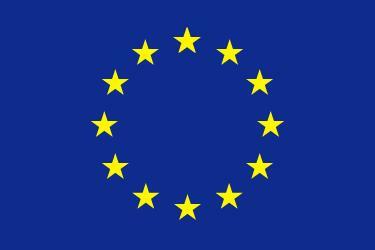 On the last day, we will gather in a round table to talk about the future of the Adventure Therapy in Europe. What’s coming next? What about the next GATE 2019? If you can dream it, you can make it. Sometimes, we cannot show in an experiential way the work that we do, therefore, we create The Pool of Experiences: a two hour activity where some practitioners from the Strategic Partnership: Reaching Further would present their work in a 10 minute presentation, followed by 10 minutes for questions coming from attending participants. The Pool of Experiences will take place simultaneously as one of the Experiential Workshops. The GATE team will facilitate open spaces in the mornings before breakfast for participants to organize themselves for early bird activities such as yoga, running, meditation, etc. Activities will start at 7:30 and participants will be able to use the breakfast timeframe. That means that participants will be responsible for managing time wisely to have breakfast as well. 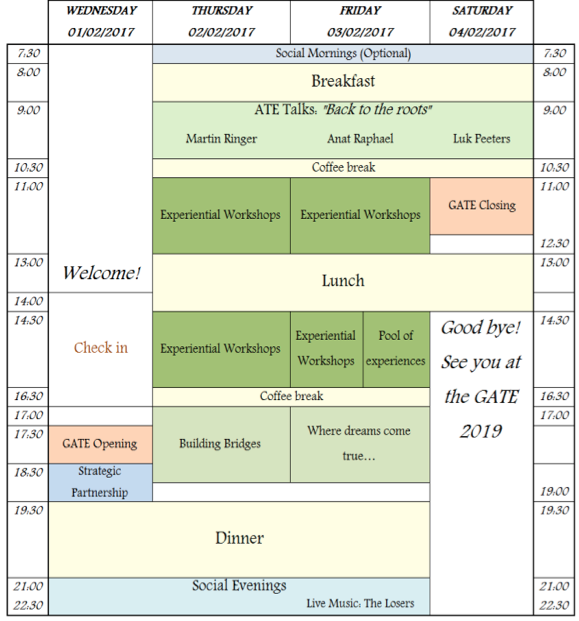 If you are interested in organizing an event please email us at gate@adventuretherapy.eu. Keep in mind that this is voluntary and the GATE organization will only help to facilitate this spaces but is not responsible for organizing the activities. Check here some proposals for the Social Mornings! After dinner we will have time to gather and hang out or chill out at the bar. Free and open space to talk and connect with each other. This is a time at the end of the day to debrief, to keep discussing about Adventure Therapy or just to play around. please check the GATE informational booklet!